TeamViewer is the most widely used application for remote control, desktop sharing, online meetings, web conferencing and file transfer between computers. It operates on Microsoft Windows, Mac OS X, Linux, iOS, and Android operating systems. It is possible to access a machine running TeamViewer with a web browser, this is mainly used for remote control of computers, collaboration and presentation features are included. Here i am showing how to install TeamViewer on Fedora 18 (Linux), please follow the steps to get it installed. 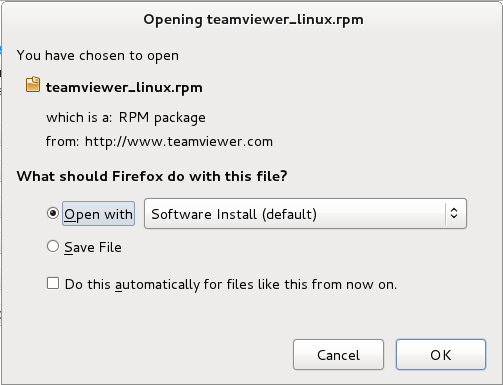 Step 1: Download TeamViewer for Linux from the official website. Open with Software install. Step 2: Click on Install Button. Step 3: Once installed. Start TeamViewer (Activities ——-> Search——> TeamViewer 8). Step 1: Open Terminal (Activities ——> Search ——> Terminal). Step 2: Swictch to root user. Step 2: Download TeamViewer 8. Step 3: Install TeamViewer 8. Step 3: Start TeamViewer as normal user (root user not allowed to run TeamViewer). 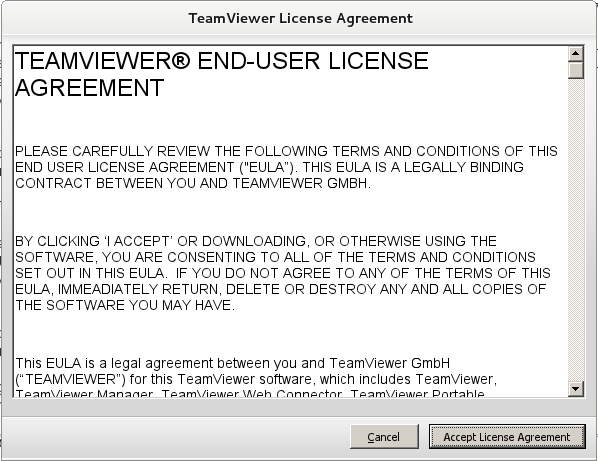 If you are starting the TeamViewer for first time, accept the License agreement. That’s All. You have successfully installed TeamViewer on fedora 18. Note: TeamViewer is not designed to run under root privileges, with root user it will not run. If you want it to run any way, there is a solution to run TeamViewer under root privileges.